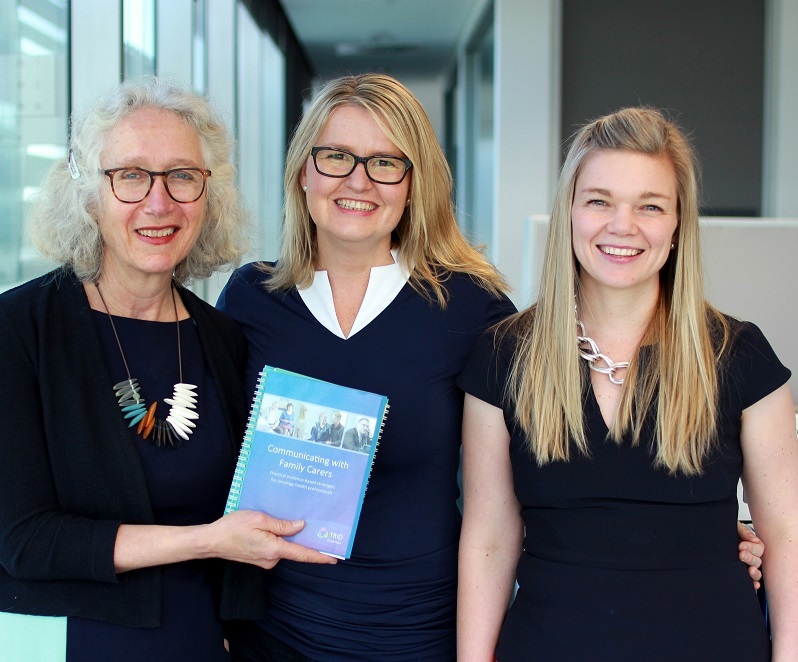 PoCoG members Dr Rebekah Laidsaar-Powell and Associate Professor Ilona Juraskova, and founding chair Professor Phyllis Butow, have developed a set of practical evidence-based strategies for oncology health professionals communicating with family carers, named the TRIO Guidelines. The TRIO Guidelines have been published in the journal Patient Education and Counselling and will soon be available in a hard copy booklet, which will be launched in a breakfast session at the 2018 COSA Annual Scientific Meeting, in Perth. Going forward, the TRIO team, joined by Research Co-ordinator, Rachael Keast, are now adapting the TRIO Guidelines into an interactive online education program for oncology clinicians (eTRIO), and an online education module for patients and family carers (eTRIO-pc) which aim to empower all stakeholders when interacting with each other. Both modules will be evaluated in a multi-centre randomised controlled trial, which will recruit oncology doctors and nurses, and patients and family carers. This stage of the project has been co-funded by a Cancer Australia and Cancer Council NSW grant through the Priority-driven Collaborative Cancer Research Scheme. If you would like a copy of the TRIO Guidelines, or for more information on the TRIO project, please email rebekah.laidsaar-powell@sydney.edu.au.